A 66-year-old retired federal civil servant, Fredrick Omorieve and his wife, Evelyn Omorieve, have been arrested by the police in Asaba, Delta State, for allegedly sitting examinations for two of their children. The couple were arrested by officers of the Delta State Police Command, who had been working on a tip-off over the Omorieves’ alleged involvement in examination malpractice. Our correspondent learnt that the couple were sitting for an examination in one of the “miracle centres” operating in Edo State for their two children, (a male and female) when they were arrested by plain-clothes policemen working on a tipoff. The examination was the West African Senior School Certificate Examination. After their arrest at the venue of the examination, police detectives reportedly took their statements under cautions and they were released on bail. The couple were, however, rearrested by the police on Saturday around the Deeper Life Church Street, Anwai Road, Asaba. They were accused of jumping bail and are currently helping the police for further investigations. 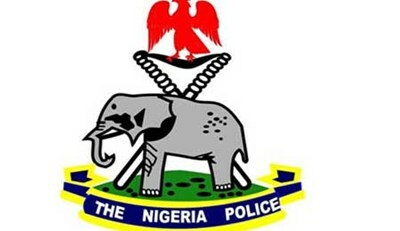 Confirming their arrest, the Police Commissioner in the state, Alkali Baba Usman, said their case file was transferred from the Edo State Police Command to Delta after they were alleged to have jumped bail after being arrested for alleged examination malpractice. Sources said the suspects had been under pressure to assist two of their six children sit the examination last week Thursday at one of the “miracle centres” in Benin-City, where police detectives arrested them. It was further gathered that the two children had sat for the sub-regional examination more than three times without passing despite series of lessons they attended before they were re-enrolled at the “miracle centre” in Benin.